Heat Wave and the Heat Wave clones have established themselves as the greatest show cattle genetics in America! Ask any club calf producer and they'll tell you the Heat Wave's are the hottest calves out here right now. They sire champions with that unmistakable look, stout bone, great hair, and overwhelming natural thickness. We could write volumes about all that Heat Wave and the clones have accomplished. 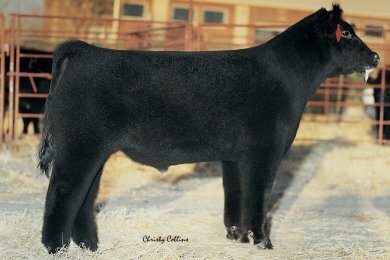 With back to back wins at the 2012 NWSS and the 2012 Forth Worth Stock Show, Heat Wave and Clones continue to be the sire that the greatest club calf traders know they can count on. - 2013 Ohio State Fair Reserve Grand Champion. - 2013 Grand Progress Steer Belt Buckle Bonanza. - 2013 Reserve Grand Progress Steer Belt Buckle Bonanza. - 2013 Grand Champion Somerset PA Show. - 2013 Grand Champion Steer VCCP. - 2013 Reserve Champion Steer NWSS.